Pradhan Mantri Ayushman Bharat Scheme is a fundamental restructuring of the manner in which beneficiaries access healthcare services at the primary, secondary and tertiary care levels. It represents a transition from segmented, sectoral and fragmented program-implementation models towards a comprehensive, holistic, need-based health care system. Pradhan Mantri Ayushman Bharat Yojna encapsulates a progression towards promotive, preventive, curative, palliative and rehabilitative aspects of Universal Healthcare through access of Health and Wellness Centers (HWCs) at the primary level and provisioning of financial protection for accessing curative care at the secondary and tertiary levels through engagement with both public and the private sector. (D1) Only one room with kucha walls and kucha roof. (D2) No adult member between age 16 to 59. (D3) Female-headed households with no adult male member between age 16 to 59 Years. (D4) Disabled member and no able-bodied adult member. (D7) Landless households deriving the major part of their income from manual casual labor. Automatically included: (i) Households without shelter. (ii) Destitute/ living on alms. (iii) Manual scavenger families. (iv) Primitive tribal groups. (v)Legally released bonded labor. 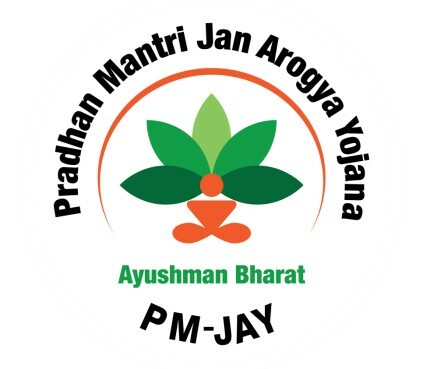 How to Search your Name in PM-JY and Register for Pradhan Mantri Jan Arogya Yojana Toll-Free No – 14555. 1. First PMO Has to Send the Letters to the Beneficiary of this Scheme. 2. Beneficiary Can Call on Toll-Free Number for More Information Details. 3. Panchayat and District Head Office has the List of Beneficiary of this Scheme. 4. Asha Worker Will Also Get a List From PMO of Beneficiary of this Scheme. 5. National Health Agency Has Appointed 14000 Arogya Mitra in Hospital With the List of Beneficiary of this Scheme. 6. For Portal Login, Beneficiary Need to Click on the Registration Link Given in Important Link Section Below on Our Website. Step – 01 – Beneficiary Reaches the Empaneled Hospital. Step – 02 – Approach the Hospital Registration Desk. Step – 03 – Use the PM-Jay Kiosk by Toll-Free No. 14555 or Self Sevice Using App or Mobile Website. Step – 04 – PMAM Informas Beneficiary About Scheme and that he will not have to Pay for Any Expenses. Step – 05 – PMAM Request Consultant form Doctor and Doctor / Medco Fills Standard pre-size Authorization form and Provide Other Docs. Step -06 – Beneficiary Hospitalized & Get Treatment, Medication & Diagnostic for up to 15 Days (Post Discharge is Provided). Step – 07 – PMAM Collects Feedback in Standard Feedback Form or Call Center will Collect Feedback from Sample Set of Beneficiaries. The PMAM will be responsible for informing the beneficiary about these entitlements. 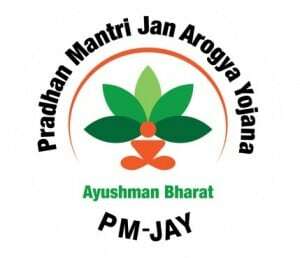 PM- Jay Scheme Login for Portal / Search your Name in PM-Jay Scheme Click Here. Download PM-Jay Information Details. Click Here. PM-Jay Other Important Links. Click Here. PM-JAY Official Website Click Here.